Usually sent within one business day or a date of your choice. 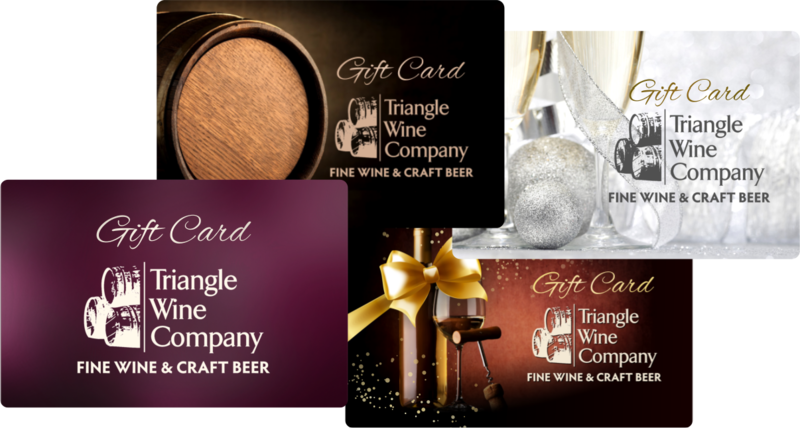 Purchasers with Triangle Wine Company accounts might not immediately see an eGift Card purchase in their customer order history. eGift Cards (the recipient receives an email with an optional message, gift card #, and amount) are available for purchase online here. Physical plastic gift cards can be purchased by visiting our stores. Both can be redeemed online and in our stores. 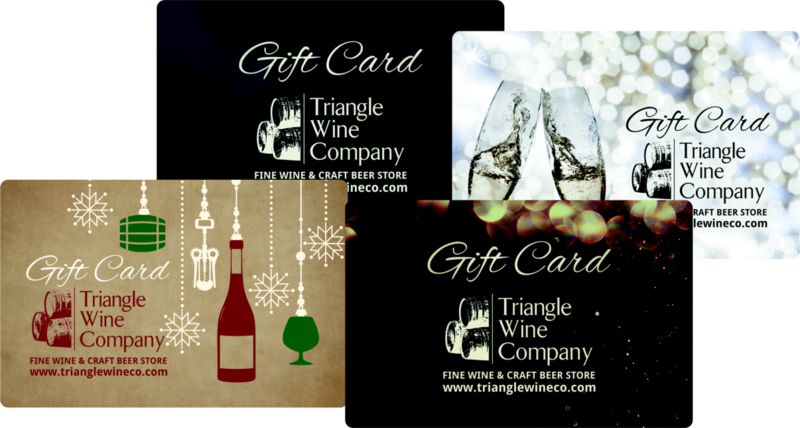 There are no fees associated with our gift cards nor do they expire. To check the balance on a gift card, please call 1-800-919-7518 (must have the gift card # located on the back of the card or within the eGift Card email you received). The balance is also displayed during the checkout process before placing an order.